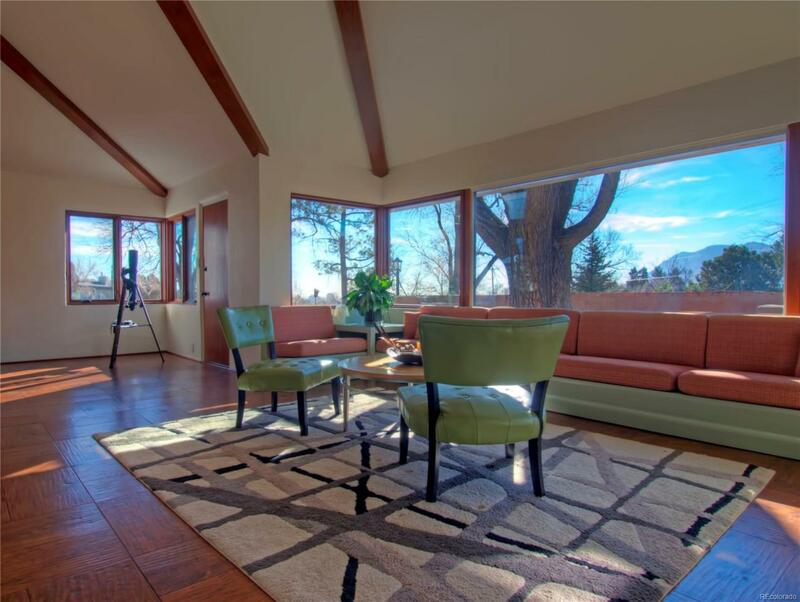 This unique mid-century style home is situated upon the Mesa on an acre lot with 360 degree unobstructed views, including stunning views of Pikes Peak. 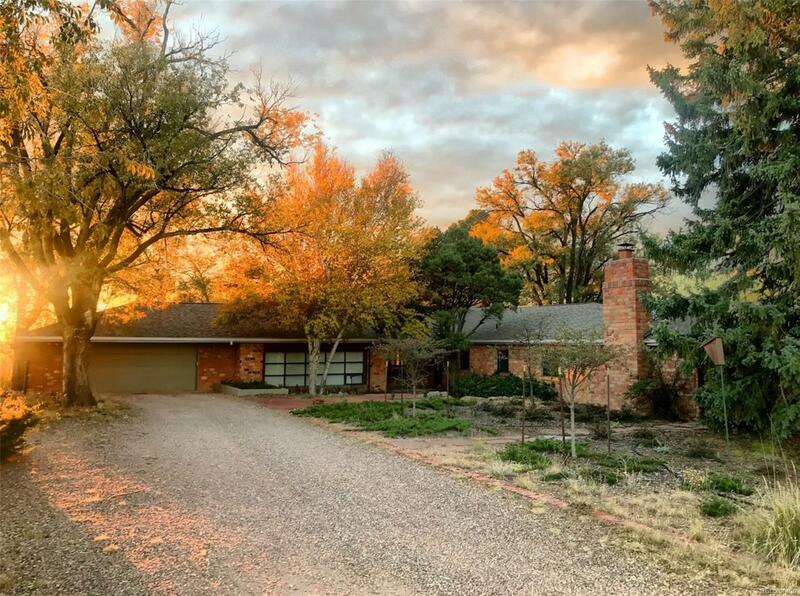 Enjoy the peaceful serenity of the private lot with the convenience of being 5min from downtown & Garden Of Gods Park. A well thought-out floor plan with over 3,000 sq.ft. of main level living space & no stairs! Oversized living room with vaulted beamed ceilings, wall of picture windows with breathtaking views, large wood burning fireplace with marble surround, & built in sofa. 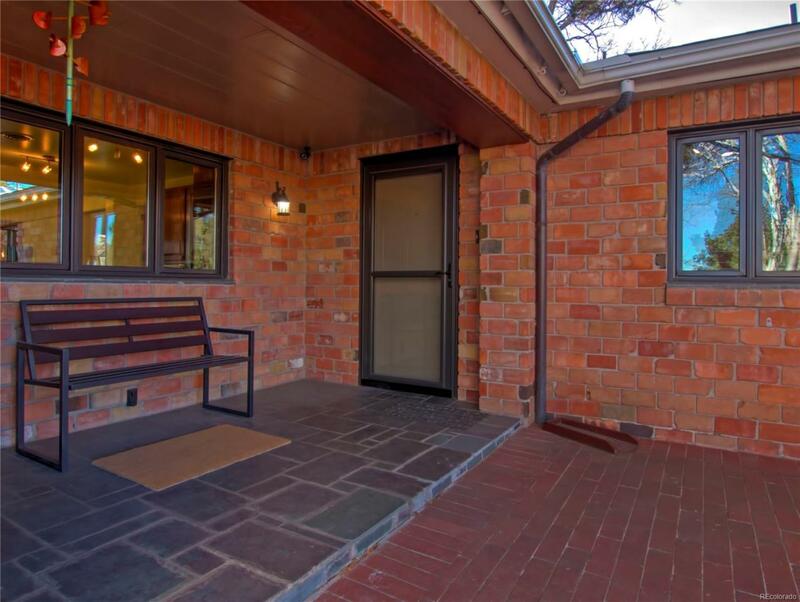 Kitchen has been updated with stainless steel appliances, cabinets, lighting, natural stone flooring, counter bar, & walkout to the exterior gardens/patios. Formal dining room has a built-in shelf with plenty of room for a large table, perfect for entertaining. 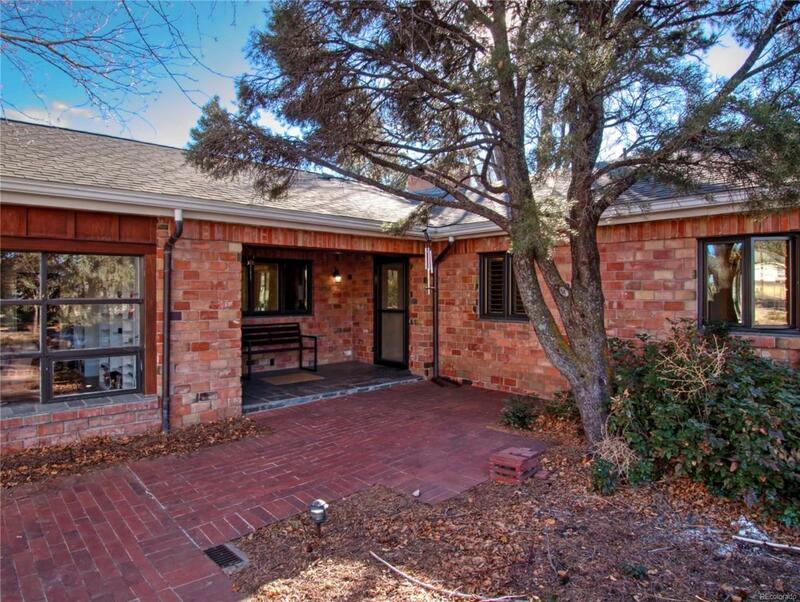 Large family room is situated off the kitchen & is surrounded with built-in bookshelves. Master bedroom features cathedral wood ceilings, fireplace,& an adjoining sitting room. Great horse property!